To help you change lanes with confidence, the available Blind Spot Monitor* is designed to detect and warn you of vehicles approaching or positioned in the adjacent lanes. And for added confidence, the Rear Cross-Traffic Alert* can help you when backing out of a parking space by notifying you of vehicles approaching from either side. One of the most impressive features of this innovative airbag system* is the driver’s and front passenger’s advanced airbag system (SRS). * the front-passenger seat is designed to detect whether the seat is occupied by an adult, a child or is vacant. In case the system detects a child or empty passenger seat, the system prevents the passenger’s front, side and knee airbags* from being deployed. 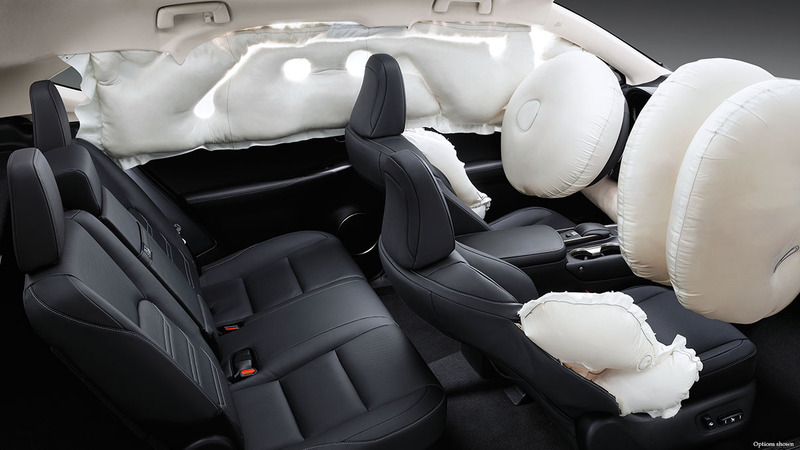 The front passenger’s airbag* features two chambers, creating an indentation in the center impact area that helps to provide occupant protection in a severe frontal collision. In some instances, drivers fail to push the brake pedal hard enough to engage the Anti-lock Braking System (ABS). Brake Assist* senses a panic-stop scenario by judging how quickly and how forcefully the driver hits the brake pedal, automatically applying increased braking boost until the driver releases pedal pressure. 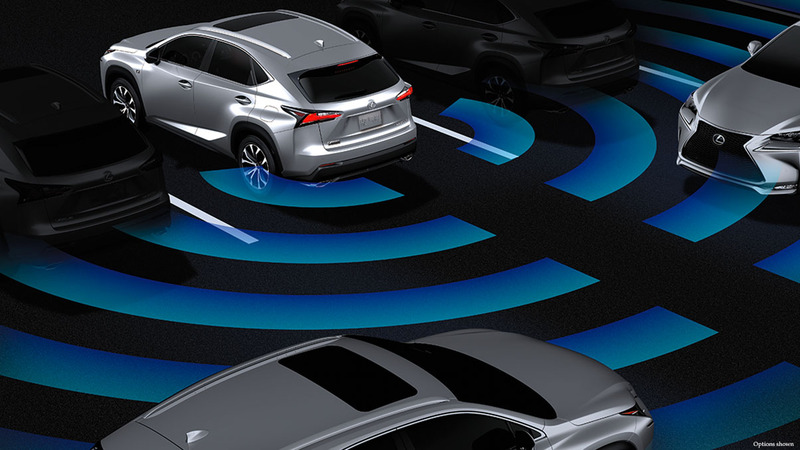 Intuitive Parking Assist utilizes inconspicuous sensors integrated into the front, rear and corners of the bumpers that are designed to detect surrounding objects. Using audible tones and an indicator on the multimedia display, the system can notify you of a detected object’s location and proximity, helping with routine tasks like parallel parking. Braking and Traction Control systems on the NX include a number of innovative features, including: four-wheel ventilated power-assisted disc brakes; a four-sensor, four-channel Anti-lock Braking System (ABS); Electronic Brakeforce Distribution (EBD); Traction Control (TRAC); Vehicle Stability Control (VSC)* and Electronic Controlled Braking (ECB). The NX was engineered with a highly rigid body structure with front and rear crumple zones, side-impact door beams, reinforcements in pillars and door sills, impact-dissipating upper interior trim, a collapsible steering column and a collapsible brake pedal. 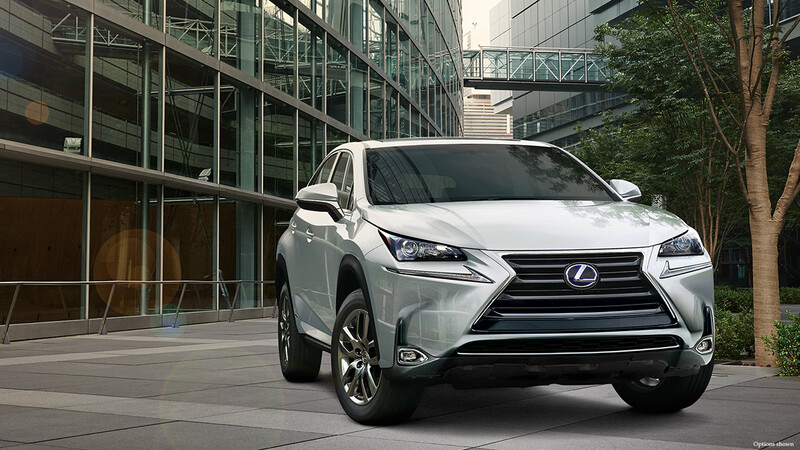 Learn more about the Lexus NX by clicking here or visit with an experienced Lexus Sales Consultant at North Park Lexus at Dominion!